Hasbro Inc. (NASDAQ: HAS) missed analysts’ expectations for quarterly revenue and profit on Monday as the loss of major retail partner Toys ‘R’ Us hurt sales in Europe and the United States, sending its shares down over 8%. The Company and rival Mattel Inc. (NASDAQ: MAT) have scrambled to find new avenues to sell their products following last year’s sudden collapse of Toys ‘R’ Us, once the world’s largest toy retailer. Amazon.com Inc. (NASDAQ: AMZN), Target Corp. (NYSE: TGT), and Walmart Inc. (NYSE: WMT) have become increasingly more important for Hasbro and its competitors, as have alternative retailers like drug and grocery stores. Other retailers such as Kohl’s Corp. (NYSE: KSS) and J.C. Penney Co. Inc. (NYSE: JCP) have also cleared more shelf space for toys. 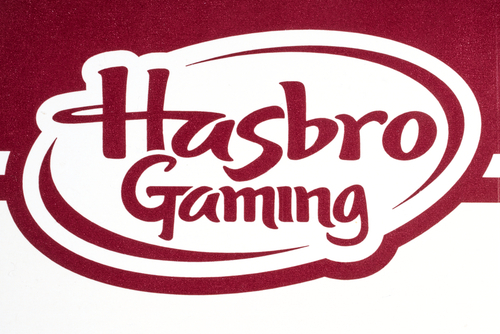 Pawtucket, Rhode Island based Hasbro reported a drop in total revenue fell of about 7% in the United States and Canada, where Hasbro said it was able to recapture about a third of the lost Toys “R” Us business. Declines were steeper overseas, where revenue dropped 24%, led by a big drop in Europe where retailers continue to sell their existing Hasbro inventory. Hasbro said it wasn’t able to ship out all the orders that came in during the third quarter, with about USD 50 Million in toys shipped in the first week of October. It plans to build a new warehouse in the Midwestern U.S. next year to cut down delivery times and distances and help better meet demand. Hasbro is also planning a global restructuring as it adapts to the new environment, which includes more toy sales moving online. That’s causing a big disruption to order flows as well, since internet sellers tend to buy smaller quantities and less frequently than stores. Hasbro is laying off as much as 10% of its global workforce of 5,400, which will yield up to USD 60 Million in restructuring charges and USD 40 Million in annual savings. $HAS recovers some of 7% morning drop. Conf call focused on Fortnite Nerf toys and $50M of Q3 orders shipped in first week of Q4.